LOCATION--(May 28, 2013) — iBuildApp today announced that it has been selected to present Mobile Widgets Marketplace at SVForum’s Launch: Silicon Valley 2013 (www.launchsiliconvalley.org), Silicon Valley’s high visibility platform for emerging technology companies to springboard their products and services into the market. The event, to be held June 4 at Microsoft’s Mountain View, CA Campus, is designed to uncover and showcase products and services from the most exciting of the newest startups in information technology, mobility, digital media, next generation internet, life sciences and clean technology. 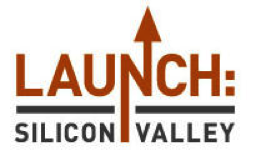 The program (www.launchsiliconvalley.org/agenda) will start at 8:30 a.m., when Ray Kurzweil, author, inventor, futurist, and Director of Engineering at Google, will give his views on "Innovations in Innovation,” followed by Guy Kawasaki on how to build insanely successful startups, discussions on the changing role of venture capital and updates from several Launch: Silicon Valley alumni companies. The afternoon will be given over to the 30 presenting companies, when each one will have the opportunity to present their products and field questions from the audience and a panel of VCs and Angels. Wrapping up the day, Dr. Mike North of Discovery Channel’s “Prototype This!” will deliver the closing keynote, after which awards will be given for the “Most Likely to Succeed” in each of the six presenting categories. Presenters will be available to showcase their companies and products in the exhibition hall, which is open for networking, deal making, and interviews between presentations. “We are excited to be part of this event and to present our app solution to the world “ says Rafael Soultanov, the CEO at iBuildApp. The event will kick off with the Pre-Launch: Silicon Valley 2013 Press Briefing introducing the finalists to the media for their stories, and Pre- Event Party on the evening of June 3, when presenting startup teams will have the opportunity to network with some of Silicon Valley's most influential executives and deal makers. iBuildApp is the leading “do it yourself” platform to make iPhone/Android apps, with no coding required. The self-service web platform provides easy way for any organization to create their own mobile (iPhone, iPad, Android) apps in minutes. iBuildApp’s customers have published over 80,000 mobile apps in the last 2.5 years. We help companies to connect and engage customers to promote business, to keep customers updated and encourage their loyalty with rewards by enabling a number of key features including Mobile Commerce, Mobile Advertising Management, Social Networking Tools. In its 8th year, Launch: Silicon Valley is now firmly established as the premier product launch platform for technology startups. The event, co-presented by SVForum, Garage Technology Ventures and Microsoft, provides the next generation of emerging technology companies with the opportunity to pitch their products to, and network with, an audience of Silicon Valley’s top VCs, Angels, corporate business development executives, prospective customers and partners, bloggers and media. Established in 1983, SVForum is a leading Silicon Valley not-for-profit organization. SVForum provides an unbiased source of information and insight to the technology community. SVForum engages the community by creating connections and community, providing education and access to resource and linking the global business community to Silicon Valley. SVForum provides the latest insights on emerging technology trends and best business practices through events, specialized services and resources. SVForum reaches 15,000 technology professionals annually through more than 20 events each month. SVForum partners include global leaders Accenture, Deloitte, IBM, Microsoft, Nokia, Qualcomm and SAP, as well as leading venture capital firms, service providers and the Sobrato Foundation. For further information, visit the SVForum website at www.svforum.org.